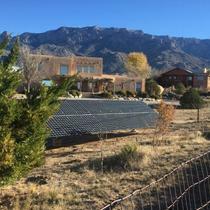 Solar Pro at the Poulin Design Center is dedicated to helping New Mexicans go solar saving money and the environment. With our Complimentary Home Energy Checkup, (a $134.50 value), We'll take the time to dig deeper than your PNM bill and uncover residential energy efficiency issues to make sure the system you ultimately purchase will be the right size for your future. With the surety of one of the Industry's Top Warranties, a 25/25/25 year Performance/Material/Labor, PLUS a 15 year Dual Assurance Warranty (the only one of its kind in the industry). 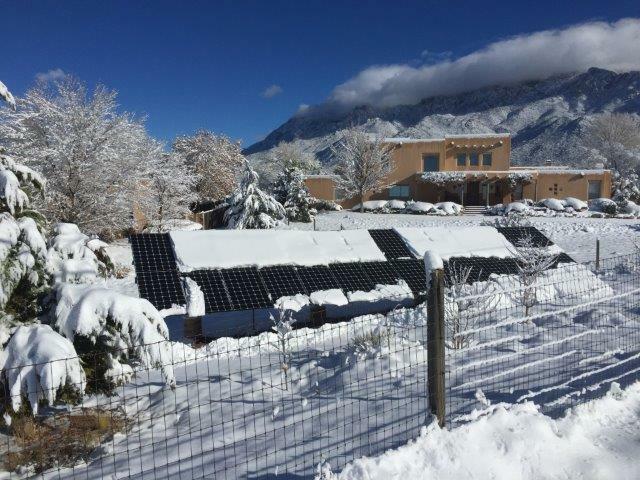 You can rest assured knowing your solar panels and equipment are covered. 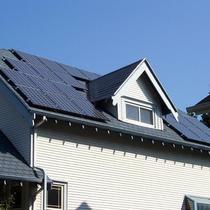 Solar Pro is an Authorized Installer for Panasonic and QCell. 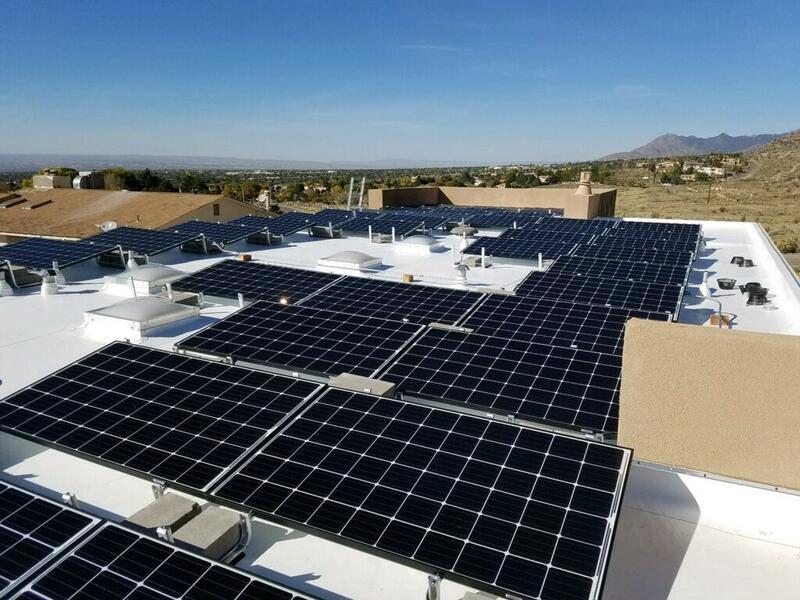 We proudly use the best panels produced by Sun Power, Panasonic, QCell, Solar Edge Inverters and Unirac Panel Racking, an Albuquerque-based company. 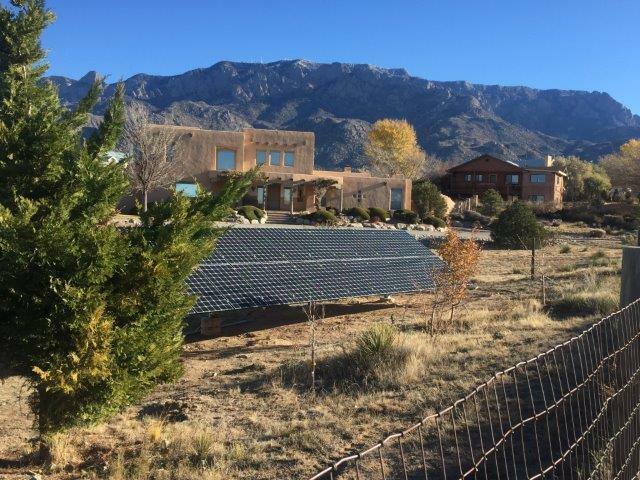 We make solar easy for New Mexico by providing complete customer satisfaction through quality design, master craftsmanship, and smooth production methods with a dependable, knowledgeable team. Your meter can spin backwards too! 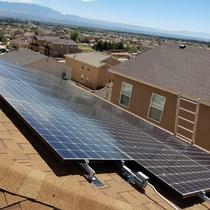 Poulin did an excellent job with my solar install, everyone was professional and easy to work with. 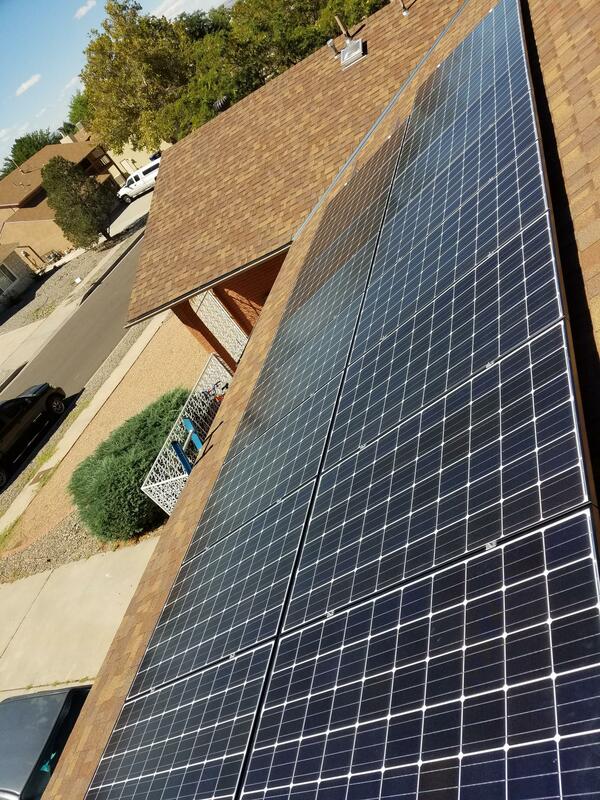 They did a significant remodel for a couple of years ago that was fantastic and they continued their high quality work with my solar install in July of 2017. They make it easy, handle all permits and applications with PNM. 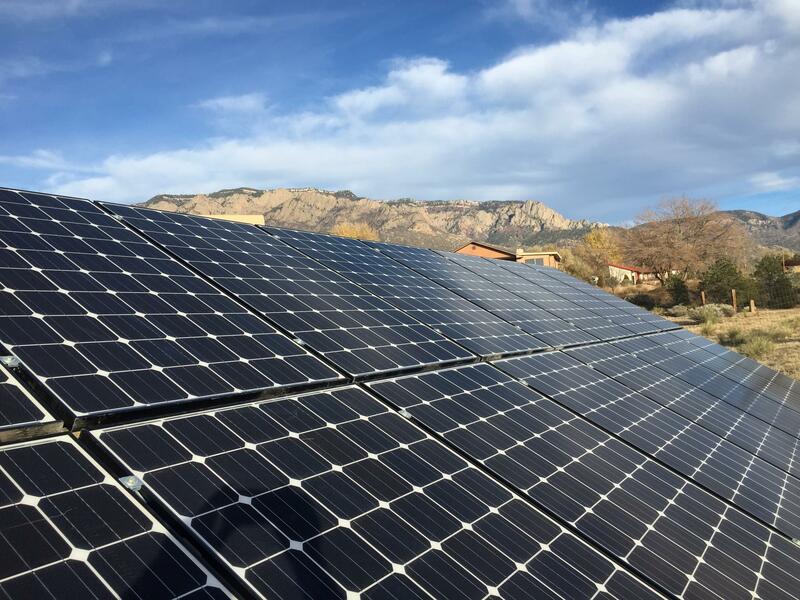 The experience we had with Solar Pro was excellent from start to finish. We love the the system they designed just for us and that all of the employees we worked with were very professional and knowledgeable. We would highly recommend this company for your solar panel needs. From the day Steve Poulin sat down with us (for about 2 hours) to propose a design for our smallish flat roof in Nob Hill and explain the installation, materials, and processes involved, to the day of our final connection, we were completely satisfied with the knowledge, technical ability, and efficiency of every thing at each step of the way. Everyone we dealt with — Steve, Ron, Brian, and another gentleman whose name I cannot remember — were all reliable, polite, and helpful (the word ‘friendly’ also comes to mind!). 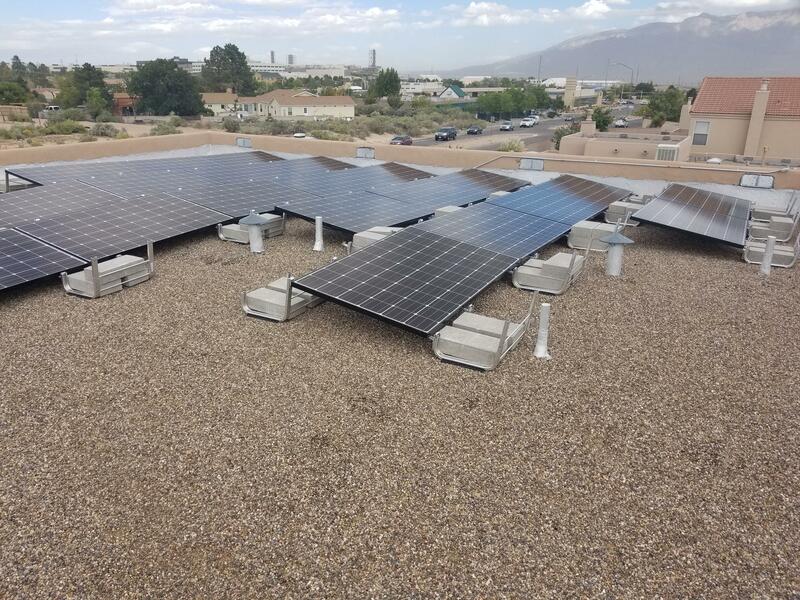 For two months we have been happily watching out PNM meter spin backwards as it inputs solar energy from our 6-panel rooftop system. All this came with far less expense than we were expecting. A "win-win" situation all around. Thank you. Absolutely would recommend. Solar has always been in the back of my mind, now I have it! My 31 panel project that Steve, Ron, Brian, and Mario coordinated was practically flawless. All the design and permitting process is handled through Poulin. 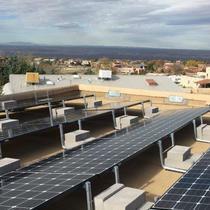 Since our array was rather large, installation took a full two days. Inspections were painless and now I really enjoy watching the meter spin BACKWARDS! Thanks Solar Pro! 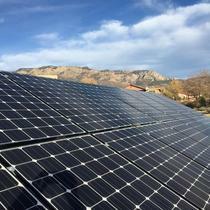 Solar Pro was excellent ! 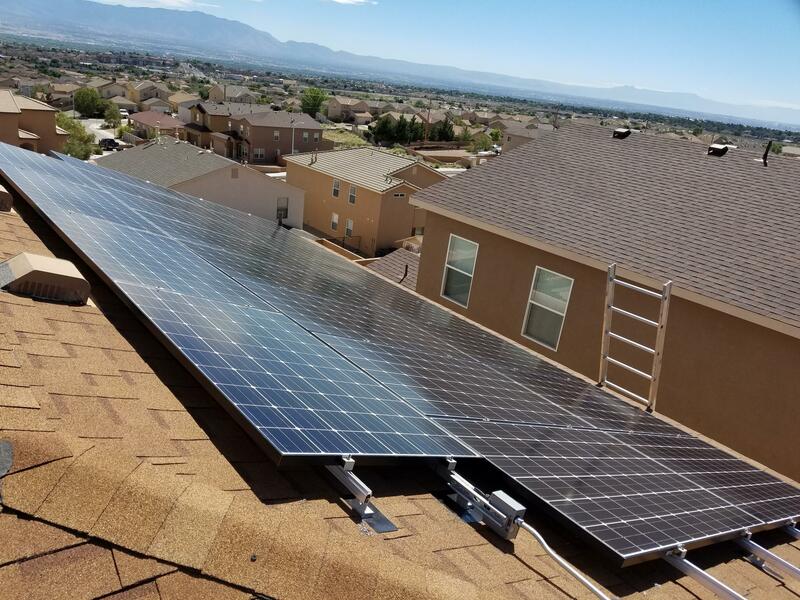 They explained the financing and installation process clearly, followed through at each step and responded to any calls quickly The technicians were very professional and helpful! 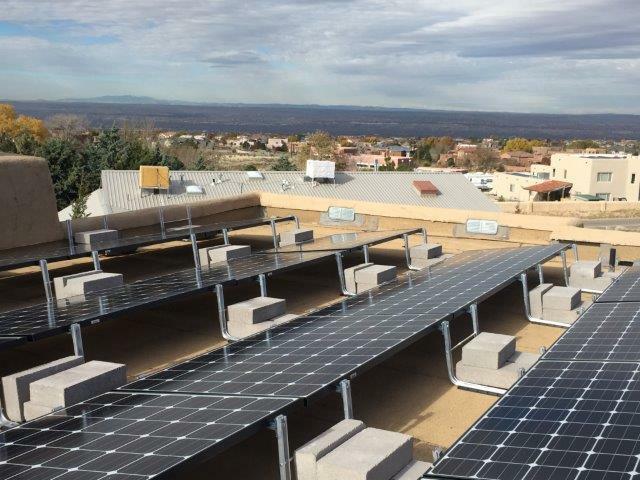 We highly recommend Solar Pro. 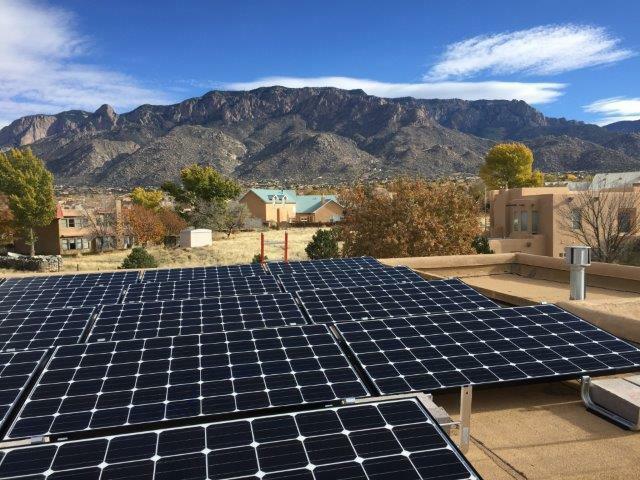 If you are looking for a solar system then Solar Pro needs to be the company that installs it. Steve, Ron,and Brian are great. From the beginning stages of our design all the way through the install they were professional, never missed an appointment and they answered every question. 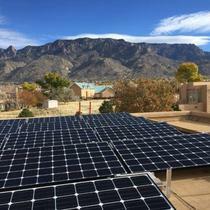 Plus Solar Pro uses American made panels and inverters. With an incredible warranty for all the parts. 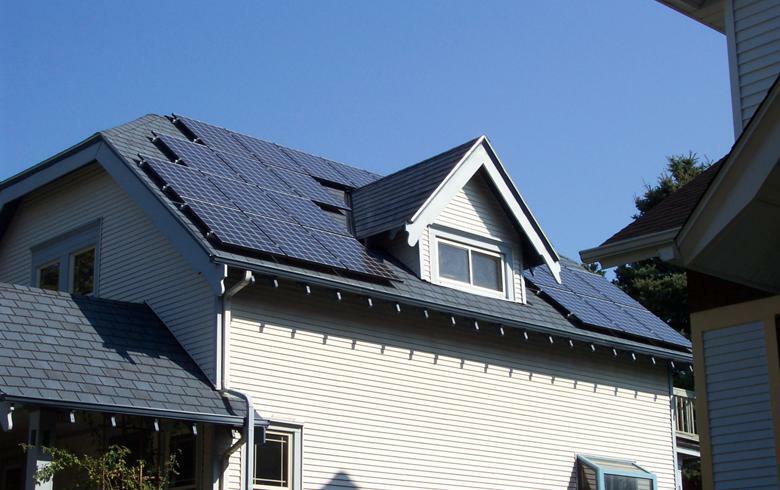 Call Steve Poulin at Poulin Design Center today and see what Solar Pro can do for you. 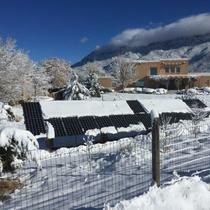 We love watching our electric meter go backwards; we are very happy customers. I shopped around for solar for over a year. I had in home meetings with 5 different solar companys..They all wanted to use my house to produce electricity then charge me for it ! 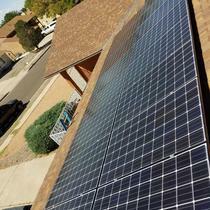 SolarPro let me buy my panels with an installation package. A one time fee. 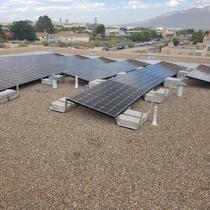 SolarPro pulled the permits, they schedualed all the inspections,and were on site for every one of them. For me it was totally painless. My electricity bill has been under 9 dollars every month since april 2017. 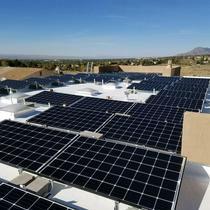 SolarPro runs a proffesional operation . Tough choice a lot of companies out there .Poulin as a company has been here in Albuquerque for a log time with a solid record so after looking around I chose them by reputation alone. I'm an electrician and was scared off by some of the companies I talked with. Glenn came out and straight forward and no big sales pitch just the facts. The install was great and quick,,being an electrician I watched carefully and was very pleased. The system did work as planned and as i retire $7.93 for electricity a month works for me! "Easy and right on schedule"
They made it very easy. The process was spelled out right from the start, so we knew what to expect, and when things would happen. And right on queue, everything happened just as spelled out initially, complete with the inspections, the installations, and the final wifi setup so we could get monthly reports. And it was all done right. We appreciate the professionalism, and the quality of the installation. And the product works great! Great experience.  Our sales person was extremely knowledgeable and communicated with us throughout the process. He has followed up several times since our system went live. The installers were knowledgeable, friendly and courteous. They even answered our children's plethora of questions.